An email showed up in my inbox on Friday night from Verizon that seemed ultra-odd and wanted to share to see if anyone else was in the same boat. The email let me know that I had been “rewarded” with an early upgrade on my main line, the same line that should not have been eligible until April 26 of 2012 (pictured above). 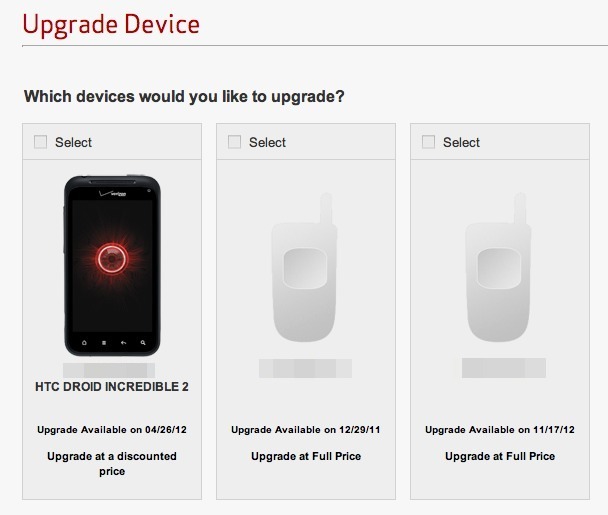 Now, normally with VZW 2-year contracts, you have to wait 20 months to upgrade, which I am clearly no where near. So I’m not exactly sure what I have been “rewarded” for (maybe that I’ve been a long term customer? ), but the timing seems nice knowing that the Bionic is potentially less than two weeks from becoming available, as well as the HTC Vigor.